Bolgheri and Maremma more broadly are home to a number of showy, world-class estates. In that context, Le Macchiole stands out for its decidedly artisan scale and approach. The estate’s Messorio (Merlot) and Scrio (Syrah) seem to get most of the attention, while Paleo Rosso is sadly often overlooked. Over the last ten years, Paleo Rosso has established itself as one of the great wines of Tuscany and Italy. This vertical going back to 1992 provided an opportunity to check in on a large number of wines. The only vintage missing was 1998, which proprietor Cinzia Merli omitted because she wasn't entirely satisfied with the wine. Eugenio and Cinzia Campolmi bought their small estate in 1982. Readers who want to learn more about the estate’s early history might enjoy this retrospective of Messorio. The early Macchiole wines were quite simple in style. In 1991 the Campolmis started working with renowned consultant Luca D’Attoma, a partnership that has yielded a number of monumental wines. 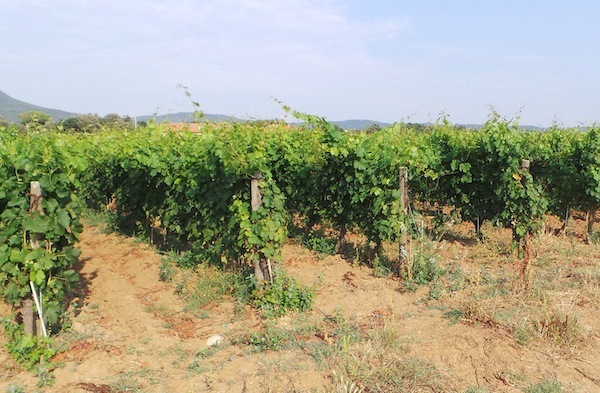 D’Attoma introduced a number of innovations, including planting high-density vineyards on a level rarely seen in Italy. At the time, Paleo Rosso was a blend of Cabernet Sauvignon and Sangiovese. Eugenio Campolmi dreamed of creating something unique; a wine that would stand apart from the rest of Bolgheri. Cabernet Franc was introduced to the blend with the 1996 vintage, while Sangiovese was eliminated entirely by 1999. The idea was to gradually increase the percentage of Cabernet Franc in Paleo Rosso with the goal of perhaps bottling a pure Franc in the future. 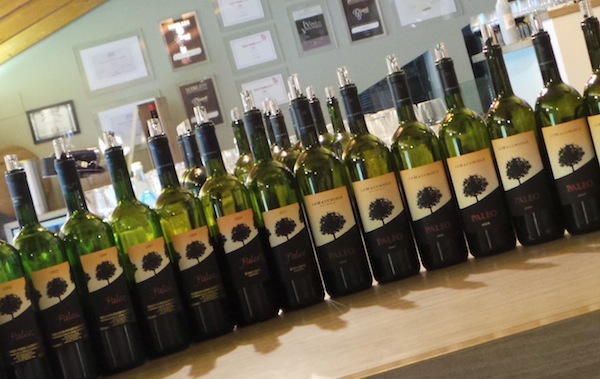 The quality of the juice in 1999 and 2000 convinced Campolmi to accelerate his timeline, and the first 100% Cabernet Franc Paleo Rosso was born in 2001. That first essay in Cabernet Franc remains stunning to this day. Cabernet Franc had been planted in Bolgheri for some time, most notably at Tenuta San Guido, where it has been part of the flagship Sassicaia from the beginning. Today, Cabernet Franc has gained considerable traction in Bolgheri and other regions around the world, where it is increasingly found in blends. But making a pure, high-end Cabernet Franc was quite revolutionary back in 2001. That risk paid off handsomely, with a series of stunning wines that followed shortly thereafter. Sadly, Eugenio Campolmi passed away in 2002 at just 40 years of age and did not live to see the end results of his most groundbreaking work. These wines remain eloquent testaments to his lasting legacy. 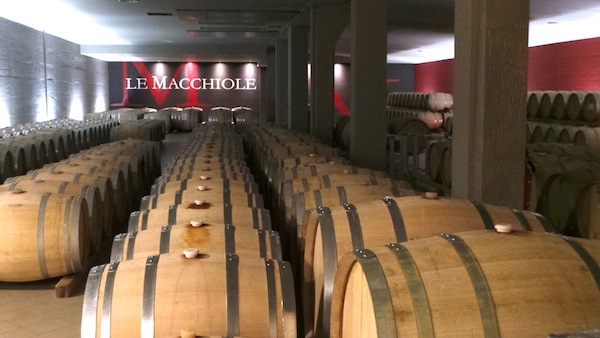 Le Macchiole also experimented considerably with French oak. The 2001 Paleo Rosso was aged in equal parts 112-liter half-barriques and standard French oak barrels. Over the following years, the estate lowered the use of the half-barrique to 20% of the wine, then 10%, before moving exclusively to standard 225-liter barrels with the 2008 vintage. Around that time, Le Macchiole began introducing cement to complement stainless steel in fermentation. New oak is now down to about 75%. Taken together, an overall lighter hand in the cellar has allowed the true personality of Paleo to emerge, something that is quite evident in this vertical. Proprietor Cinzia Merli describes her thoughts on the history of Paleo in this short video. Needless to say, it is quite fascinating to track the evolution of Paleo Rosso through the lens of a large retrospective tasting. The early Paleos from the 1990s, when the wine was Cabernet Sauvignon-based, were at times a bit rustic, especially in the tannins, while quality was inconsistent. The pure Cabernet Franc Paleos offer far greater textural finesse, complexity and consistency. Over the last few years in particular, Merli has taken on a greater role in day-to-day decisions as she and her full-time winemaker Luca Rettondini continue to make refinements in search of greater finesse. There is little doubt today’s wines are the most polished and articulate in Le Macchiole’s history, and that is great news for all of us who adore these deeply personal expressions of Bolgheri and its terroirs.